Are Whistleblowers Protected by Law? The Government Accountability Project defines a whistleblower as an employee who exposes evidence of illegal behavior by their company. Whistleblowers often reveal behaviors like fraud, mismanagement, dangers to public health and safety, abuse of power, gross waste, or other types of wrongdoing. 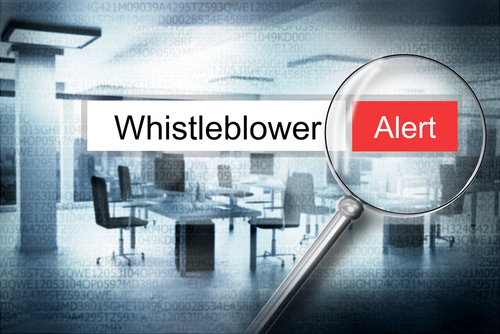 Whistleblowers who report these types of activities through the official proper channels are typically protected by law from retaliation in the form of harassment, demotions, dismissal, or a withdrawal of privileges. If you are an employee of the federal government, then you’re protected by the Whistleblower Protection Enhancement Act. Other whistleblower protection laws vary from state to state. In New Jersey, an employee can’t disclose a violation until after they’ve made a written report to their supervisor and given them enough time to correct the wrongdoing. The mysterious case of whistleblower Karen Silkwood still haunts those activists who want to blow the whistle today. Silkwood worked as an American lab technician. She began to notice multiple health and safety violations at the Kerr-McGee nuclear facility and attempted to report these issues. Silkwood faced ongoing harassment at her workplace, and she was even accused of stealing plutonium from the plant. She decided to meet with a federal union official and public news reporter to disclose evidence of the plant’s misdeeds, but she was killed in a car accident on her way to the meeting. Her incredible story was made into the 1983 film Silkwood, and it also pushed legislatures to create better protections for individuals seeking to blow the whistle on illegal practices by their employers in good faith. If you find yourself aware of misdeeds by your employer, then it’s crucial that you seek out an informed legal advisor to help protect your rights. With an astounding 115 years of combined experience, the attorneys at Begelman & Orlow are well-versed in both federal and state whistleblower protection laws. To learn more about our services, contact our office at 866-627-7052.